AWS, Google, Microsoft — these are the three giants of the cloud computing universe, and their collective efforts made 2017 a great year for cloud computing in general. It’s expected that the Big 3 will increase their combined market share to 76 percent in 2018, and to 80 percent by 2020. The global public cloud market is expected to grow at a CAGR of 22 percent, its size expected to be 178 billion in 2018, as compared to 146 billion in 2017. This year has all the ingredients to become a super successful one for cloud computing. Let’s tell you more about it, and gaze into our crystal ball for some cloud computing predictions we believe will come true. Data is the new oil; every business, irrespective of its size and scale, has several data pools. These pools continue to expand. In 2018, major cloud players are expected to bring a lot more datacenters on the cloud model. With large capacity storage equipment, the data storage capabilities of existing players are also likely to increase throughout the year. In a 2016 survey-based report, Cisco suggested that global data stored in datacenters would be 310 exabytes in 2017. Also, it predicted that the total available datacenter capacity in 2017 would be 600EB. For 2018, the estimated number is 1.1 zettabytes — that’s almost double. Forward-looking businesses will be able to move more portions of their enterprise data on to the cloud. Service providers will start offering bespoke and customized data storage services to users, at affordable prices. Businesses will be motivated to use the affordable cloud solutions for applications in human resources, financing, and analytics. Of all our cloud computing predictions, this one is not exactly a surprise or news for anyone: Cloud computing-based service models will continue to grow in 2018. Here some insight on the relative growth potential of the three key models. As per Bain & Co., the Software as a Service model (SaaS) will continue its rapid growth. The pace is expected to be at 18 percent CAGR by 2020. Salesforce, Google Apps, and Citrix GoToMeeting will continue to dominate the market. A KPMG report pegs the potential of Platform as a Service (PaaS) component for 32 percent growth in 2017 to 56 percent adoption by 2020. Because these services provide a platform to end users to develop, launch, and manage apps without investing a lot, this is expected to draw a lot of business from enterprises that now want to move on to sophisticated capabilities beyond SaaS. A Statista report estimates that the size of the Infrastructure as a Service (IaaS) market will reach $17.5 billion by the end of this year. Amazon Web Services will face sterner competition from Google Compute Engine and Microsoft Azure. Essentially, the outlook for cloud computing is very bright for 2018, and that’s across all its service models. 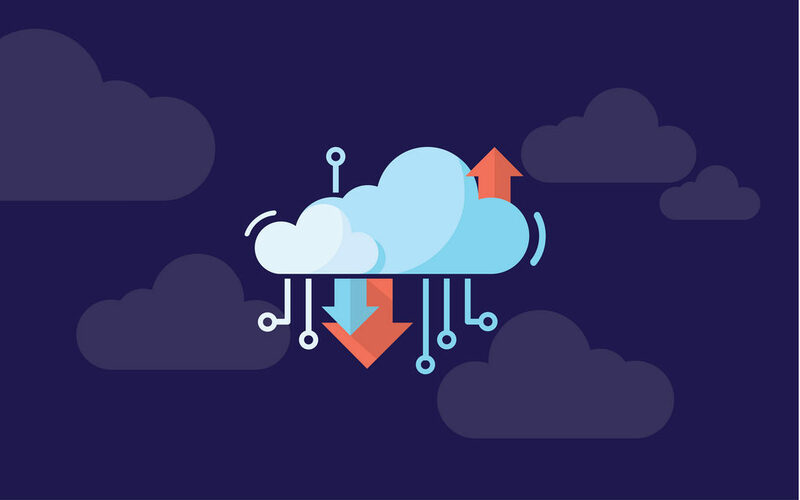 The truth is that true and complete cloud migration is still a distant dream for even the most advanced and cloud-converted enterprises. 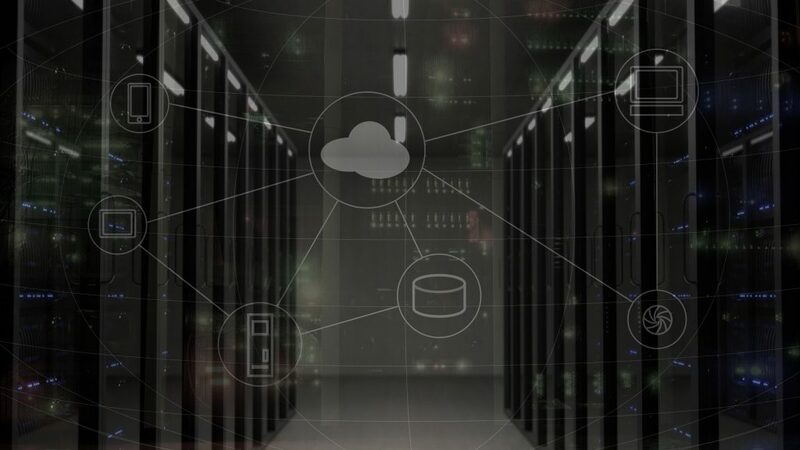 This means companies are looking for options to connect their on-premises solutions with their cloud-based solutions, along with complex customizations to make their systems work in a manner that supports their business processes. Our cloud computing predictions crystal ball shows us that in 2018, IT giants will realize the need to serve this demand, and will offer options to end users that help them achieve their hybrid infrastructure goals. Without a doubt, on-premises solutions have their merits when it comes to network security for data flow control. For many enterprises, the current on-premises solutions represent hefty investment costs over years, and migrating them to the cloud comes with huge financial implications that could unsettle their profit-loss statements. Also, specific on-premises solutions could come with significant costs of migration and long migration timelines. 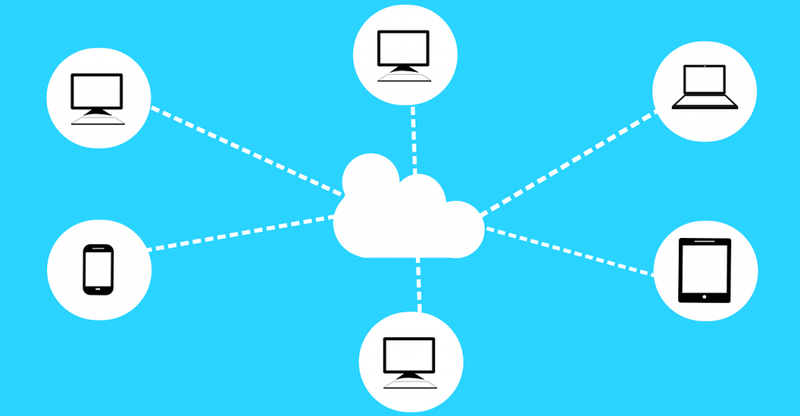 Instead, an approach of connecting on-premises systems with those on the cloud presents clear benefits. 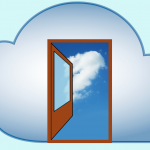 Not all of our cloud computing predictions will mean a clearer picture for companies. Big enterprise technology vendors are getting surprisingly addicted to coining buzzwords to further their marketing motives. The downside of this approach is that the general understanding of often used terms is deteriorated, and that of newly coined terms hardly ever become clear. Take for instance the term hybrid cloud. As per the cloud terminology adopted and followed by NIST (in 2008), hybrid cloud refers to a pairing of the public and private cloud. However, vendors used the term to describe pairing of traditional systems with cloud systems or those with virtual servers. Buzzwords will be bombarded at enterprises throughout 2018. If you are tasked with the responsibility of working on deals with major cloud players, watch out for these words, and learn to look beyond. The tremendous pace of data growth hardly needs any underscoring. Thankfully, leading technology innovators like Qualcomm Snapdragon are leading the movement toward faster network speeds. In 2018, we expect more groups to become a part of this movement. The move from gigabyte LTE speeds to full 5G networks will witness increased traction in 2018, which means we will reach 5G capabilities sooner that it’s anticipated currently. Super-fast loading applications will drive enterprise adoption, and feedback resources to this movement. IoT, in particular, will be vastly benefitted by this move to a faster Internet. WannaCry, Equifax, CIA Vault 7 — these are some words that cause CISOs to wake up in the middle of the night. Individual and state-sponsored cloud infrastructure attacks are a threat to any enterprise. Sadly, we hardly have a reason to believe that 2018 will be any different. This, of course, will drive increased investments in security information and event management (SIEM) tools, apart from specific malware detection and quarantine solutions. Managed security service providers will have an opportunity here, in offering end-to-end security solutions to businesses that cannot implement wholesome security measures on their own. Despite security concerns, our cloud computing predictions for 2018 are generally upbeat. We will see new opportunities for enterprises to make their cloud infrastructure mix more affordable and supportive for business goals. Let's have fog computing services like SONM take a slice of the pie of the big players.... Cheaper, decentralized, fewer latency issues and excellent scalability. Fog is the new cloud!!!! You make a valid point; though I think that the incumbents of the cloud computing market are well placed to also be leaders of the fog computing model. As far as there's competition, enterprises can trust they'll get good affordable options.